What does it look like when a car company celebrates? Fireworks don't even come close. AMG's celebration will cost two-point-something million euros apiece, have a hybrid engine similar to a Formula One car and produce more than 1,000 horsepower. For now, it's called Project One, and will debut at the Frankfurt motor show later this year before being handed over to the first of 300 or so ultrarich customers in 2019. Mercedes-AMG is building its first true supercar. What's there to celebrate? Mercedes is coming off three consecutive Formula One World Championships and 2017 marks AMG's 50th anniversary. Mercedes' in-house hot-rod division has never been in better shape. Its cars, once praised only for straight-line performance, have learned to handle corners. The new C63, for example, is the best car in class, beating BMW's once untouchable M3. AMG tripled its sales volume over the past three years. In 2016, it sold nearly 100,000 vehicles. But now, nearly all Mercedes vehicles – from the subcompact CLA to gargantuan SUVs – are available with some kind of AMG badge, and there's a risk of diluting its prestige. Certainly, AMG is not as exclusive as it once was. The new supercar isn't just a celebration. It's also meant to shine a halo down on the AMG lineup and restore its status. We interviewed Tobias Moers, CEO of Mercedes-AMG, to talk about Project One, the next Black Series car and why hybrid power might suit AMG. Tobias Moers acknowledges that Red Bull and Aston Martin are working on a similar F1-inspired supercar, but says Mercedes’ Project One is uncharted territory. You can't put a Formula One engine into a road car. "Why not?" says Moers, deadpan. "We have to change some things, but it's still a 1.6-litre V-6 engine, using all the electronics and electric motors they run in Formula One." The motor will have a split turbo, with compressor and turbine on either ends of the engine block, just like the F1 car. "The crankhouse is going to be cast, and not machined like in F1. We reduced idle from 3,500 revs to a reasonable 1,200. But the redline is over 10,000 – on the road car." 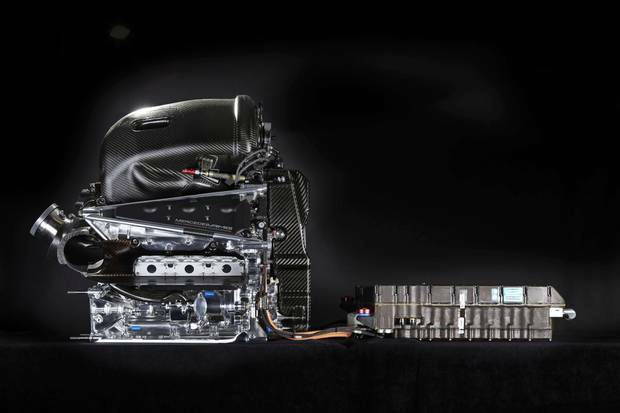 The engine will be built in Brixworth, England, where Mercedes F1 engines are made. 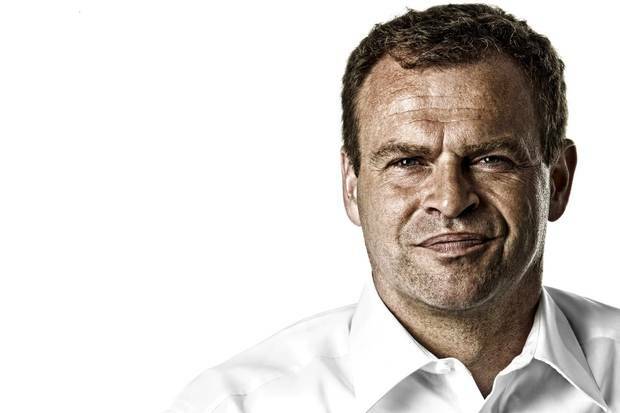 Moers acknowledged that Red Bull and Aston Martin are working on a similar F1-inspired supercar, but said the idea of benchmarks in this rarefied segment don't really apply. This is uncharted territory. "[Project One] has an electric range of 25 kilometres, minimum. It's all-wheel drive, with individual electric motors at the front axle." It'll be a two seater, fully road-legal, with a carbon-fibre monocoque, in-board suspension and active aerodynamics that aren't allowed in F1." "More than 1,000 horsepower, combined [gasoline and electric]. But I'm not putting our performance targets on the table because I don't want to get the information to our competitors. It's our secret." The cabin will be "very reduced," he said. "You have a very different seating position to all other cars I know." Expect a feet-up, laid-back seat similar to F1 and most controls directly on the steering wheel. AMG's supercar will be revealed at the Frankfurt motor show in September. "Regarding engineering and technology, it's the pinnacle of what you can do today. There'll be nothing beyond it." "[Project One] is the first performance hybrid from AMG. It opens the door. It gives you an understanding of how we see future performance should be defined." In other words, there are plug-ins and hybrids on the way from AMG. 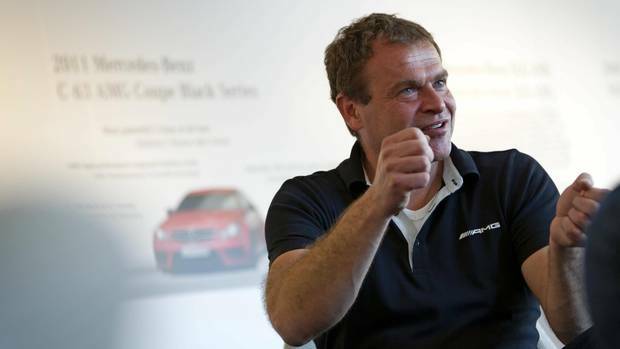 "It's an exciting situation now in the automotive industry. Everybody is talking about new mobility or electrified mobility. Electrification gives you extra power, extra efficiency." AMG's model line is complicated. There are -S models, -R models, the Black Series and the -43 lineup of entry-level AMGs. The -S models, with more power and higher prices than standard AMGs, replaced the old Performance Package option. "An option gives you nothing in terms of resale value when you sell the car. The -S model took care of that," Moers explained. That badge on the trunk is worth money. "Black Series will still be the pinnacle," he said. "They're always sold out." In the past, these cars have been limited editions, about as extreme as road cars get. But the AMG GT R is already so fast. (It did a 7-minute, 11-second lap around the Nordschleife.) How do you top that? "That's the problem we're facing now. … We're collecting ideas for what could be [a GT Black Series]."